As the conference approaches, you will be able to view all of our wonderful sponsors, vendors, and partners, preview their websites and make a plan for which you are interested in meeting. Many of our vendors have products that make our lives and the lives of students easier. We know you will enjoy interacting with them and will learn a tremendous amount as a result! 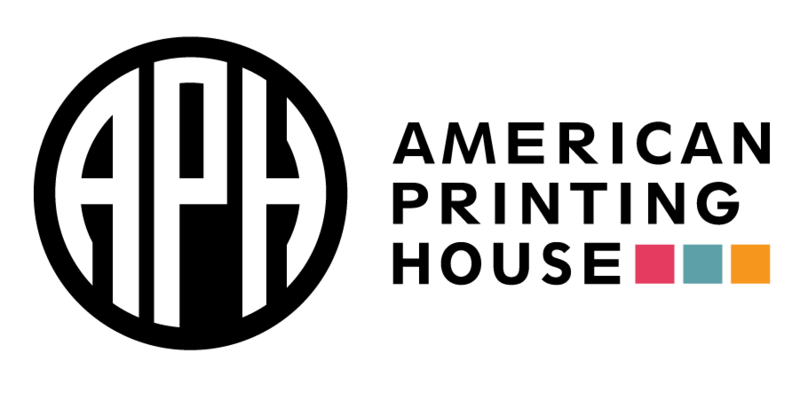 Thank you to our sponsors for supporting AHEAD and accessibility, and for making some of our conference experiences possible. 247 Accessible Documents Pte. Ltd.
captioning and Text Interpreting (C-Print &TypeWell) for schools, we provide technical support, training and education to everyone involved in the process. Aira connects people who are blind or low vision to a professional agent who is dedicated to further enhancing their everyday experiences. Our experts serve as visual interpreters and navigators for our users, helping them accomplish daily tasks and activities. Aira proudly partners with educational institutions to create “Access Zones” where their communities can utilize the service at no charge to the user. Since Ai-Media was founded 16 years ago, we’ve witnessed technology shape vastly improved access and inclusion for people with disabilities including hearing impairment, ASD, and mental illness. Fast, accurate live captioning, notetaking and transcription makes the world a more accessible place. Blackboard Ally helps you understand and tackle accessibility in a way that benefits all students. We are focused on helping institutions build a more inclusive learning environment and improve the student experience by helping them take clear control of content with usability, accessibility and quality in mind. For more information about Blackboard Ally, visit our website and connect with us to join the discussion. Access matters and we're here to help your institution get into compliance with the Americans with Disabilities Act. BlueDAG’s suite includes an integrated set of tools for site and program evaluations, grievance management, and transition plan development. With BlueDAG, all aspects of compliance are under your control with a cloud-based dashboard that makes managing workflows easy and efficient. CommonLook® is a world-leading provider of software products and professional services enabling government agencies, educational institutions and corporations to meet their obligations for electronic document accessibility. Equidox empowers your organization to meet the digital accessibility needs of your clients, students, and employees with our PDF Conversion Software and Services. Our professional Digital Accessibility Services include web accessibility testing, web accessibility training and accessibility consulting, as well as VPAT completion. Hamilton® CapTel® is dedicated to delivering innovative solutions that make telephone calls reliable and accurate for people with hearing loss. It’s now possible to listen and read captions of what’s said to you on a captioned telephone, smartphone, tablet and Cisco® business phone. The mission of the Phonak Work Life team is to provide innovate hearing solutions, accommodations on guidance, and education on for students transitioning to post-secondary education and the workplace. We believe that a holistic approach is necessary which considers solutions beyond a hearing aid. Sonocent develops software that enables students with learning disabilities to create comprehensive notes. Our tool combines audio, color highlighting, text, images and presentation slides all into one workspace. Symplicity creates solutions that help more than 1,300 institutions worldwide effectively connect students to the resources they need to succeed during and after college. Symplicity provides tools that help ensure students' ability to thrive and that help provide the best possible student experience. Clockwork Enterprise software management for University and College student services such as Disability, Counseling, etc. Assisting staff with their daily workload emphasizing ease of use, confidentiality, reporting, a customizable environment. Center for Inclusive Design & Innovation (CIDI) provides high quality, accessible, and inclusive products, services, and resources for individuals with disabilities in education, government, non-profit, and corporate environments. Non-Invasive drug free pain reliever. Used by physicians and facilities across the country for rehabilitation and pain relief for over 17 years. The American Printing House for the Blind is the worldwide leader in designing innovative lifelong learning solutions for children and adults who are blind or visually impaired. We level the learning playing field by providing specialized technology, materials, products, and services that are essential for education and life. AST leverages smart automation and professional transcribers and describers to power its CaptionSync service, an accurate, affordable solution for captions, interactive transcripts, and audio description. Beacon College, a private nonprofit college in Leesburg, Florida, is the first accredited institution of higher learning to award bachelor's degrees exclusively to students with dyslexia, ADHD, or other specific learning disabilities. Beacon College’s distinctive mission focuses on the academic and career success of our students. The College Diabetes Network (CDN) is a national nonprofit organization, whose mission is to provide innovative peer based programs which connect and empower students and young professionals to thrive with diabetes. From high school to entering the working world, CDN provides the tools and connections relevant to young adult’s lives. 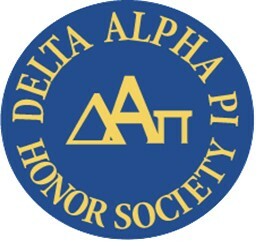 Delta Alpha Pi International Honor Society (DAPi) is the premier collegiate academic honorary recognizing high-achieving students with disabilities. DAPi has over 150 chapters at colleges/universities in 35 states and DC. DAPi provides opportunities for leadership, advocacy and education regarding disability issues and one annual scholarship for an active undergraduate member. Docsoft AV: is a software and hardware package or “appliance” that can automatically create close Captioning for digital media files. Docsoft provides its customers with a way to bring close captioning in house that will save both time and money. Make your video compliant with the laws. 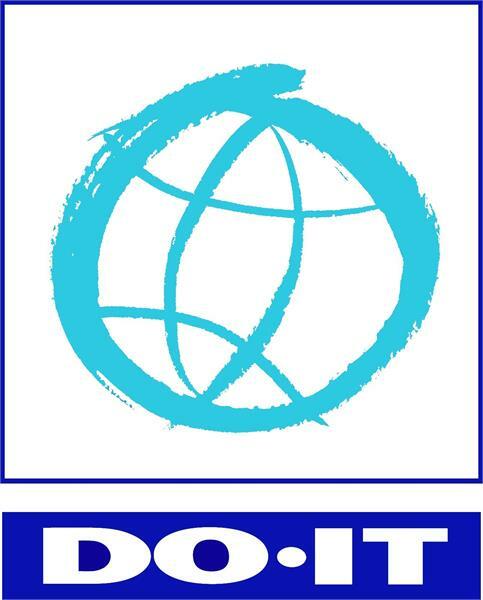 DO-IT serves to increase the success of individuals with disabilities in college and careers. This year, the exhibit features materials from the AccessComputing and AccessEngineering projects. These projects engage faculty and students nationwide in efforts to make computing and engineering content accessible to all students. JST Coaching & Training is the leading authority on academic and EF coaching. We deliver customized training that equips DSS professionals and institutions with the skills they need to create transformational change with students. Through our proprietary, research-based process, students build motivation and achievement, leading to increased self-determination in college and beyond. Kurzweil Education enables learners to access curricula, build literacy skills, and make real academic progress with k1000 for students with blindness or low vision and k3000 for learning differences. MatchWare is a leader in educational mind mapping and assistive technology solutions. MatchWare develops MindView, the Assistive Software for Reading, Writing and Comprehension. MindView is based on the mind mapping theory and assists students with Dyslexia, ADHD, Executive function disorder, Autism, etc. to combat the struggles associated with writing assignments. Monsido is a powerful tool that works by scanning your website and finding errors and optimization opportunities which would have been otherwise overlooked. In addition to ADA accessibility issues, Monsido also finds broken links, misspellings, SEO issues, missing scripts, content policies, and more. Monsido is a leading Accessibility tool that identifies Section 508 and WCAG 2.0 issues on your website and reports them all in a user-friendly dashboard. Monsido isn't just about finding problems, though. It's about making accessibility understandable. With a clear breakdown of issues and explanations of how to fix them, your entire team (regardless of technical ability and know-how) will feel confident building a better, accessible website. Visit our booth to find out why and how educational attainment narrows the employment gap between deaf and hearing people. Meet our staff and obtain postsecondary outcome data, guidance for designing accessible environments, and integrating systems. Explore resources, elearning opportunities and our new interactive online game for deaf students. NIB’s employment support services programs provide people who are blind with a wide range of career options that suit their interests, goals, and capabilities. NIB and its nationwide network of associated agencies have career opportunities for people of all experience levels and professional backgrounds. These rewarding and challenging positions are helping thousands of people who are blind achieve greater independence through meaningful employment. The National Library Service for the Blind and Physically Handicapped, Library of Congress, provides free accessible reading materials to people who cannot see or handle print because of physical disabilities. NTEhub from Note Taking Express is an innovative note taking and web-based software platform. Our remote human notetakers deliver summary notes to students with learning disabilities at a lower cost than peer group or paid notetakers. Students can then view their customised notes on our accessible web-based software platform, add lecture slides and start to create their own notes or revision materials. Institutions can manage all their student requirements on the Admin panel. The OrCam MyEye assistive technology device instantly and discreetly reads any printed and digital text, from any surface – including newspapers, books, computer and smartphone screens, restaurant menus, labels on supermarket products and street signs – as well as recognizes individual people and products. T-Base produces accessible instructional materials in braille, reflowed large print, e-Text, audio, EPUB and accessible PDF; uses an automated software solution for 2x faster turnaround; and provides world-class tactile graphics. Hello we’re Texthelp. We believe that literacy is every student’s passport to success. It’s our genuine desire to help students understand, learn and express themselves. We create smart, user-friendly literacy and learning solutions, that provide the support each student needs; through reading, writing, STEM and research. User1st provides the most advanced web and mobile accessibility solutions for achieving the highest level of compliance, the international specifications of WCAG 2.0 AA, without impacting a website’s design or coding. User1st offers the only web accessibility solutions for testing, remediation, monitoring and compliance that provide both customized quick fixes and tailored long-term solutions.